If you’re homeschooling your kids then it’s important that your house looks and feels good, as this helps to create an environment that’s conducive to learning in. Whatever you use your house for, however, you owe it to yourself and all who live within it to make it the best house possible – that’s when a house really becomes a home. It’s easy to concentrate on the big things, such as installing new carpets, painting the walls or removing walls to create larger and more welcoming rooms, but sometimes it’s the little things that make a big difference, as these three finishing touches demonstrate. Lighting is one of the most practical functions of any property, of course, but it should be so much more than that. If you have bland, soulless lighting it can spoil the effect of the room it’s situated in, but exciting lighting can illuminate a room in more ways than one. Take time to find light fittings that match the style of the room and its individual needs. For example, it’s a good idea to have subtle, romantic lighting in bedrooms that can be dimmed when needed, but uplighting can create a truly dramatic effect if used in an entrance lobby. With so many styles of light fittings available, you can find lights that match the personality of you and your home. The bathroom is one of the most important rooms in your home; it’s there that you can relax and enjoy time and space all to yourself, whether that means singing in the shower or indulging yourself with a long, hot bath. One vital bathroom accessory that is often overlooked is bathroom towels, but finding the right ones for you and your family can make bath time a luxurious experience. You can find the best towels via expert websites, but remember that it can be worth paying a little more to get bath towels that are soft, welcoming, and durable too. Our busy, modern lives can take us far away from the beauties of nature, but even after centuries and millennia of evolution, studies show that humans still feel most happy and relaxed when in a natural environment. You can bring Mother Nature into your home by having carefully selected plants and flowers in your rooms. These not only beautify your home, but plants can also help create a pleasant atmosphere and help us breathe more easily, so they can be an especially smart choice for the bedroom. You can also use arrangements of flowers to create exciting contrasts with a room’s color scheme, and this can be an easy and inexpensive way to impress visitors. Carefully selected lighting, luxurious bath towels, and aesthetically pleasing plants and flowers don’t have to cost a lot, but they can be among the best domestic purchases you make. Whether you work, teach, learn, or simply relax in your property, these three finishing touches transform it into something altogether better and more important – a home to be proud of. There are SO many things I want to teach my children! I personally have a fascination with Greek Myths. Could it be because they are so absurd in some ways? I mean the stories are just hilarious! But there is such an educational value to studying them. So when the chance to review D’Aulaires’ Greek Myths from Memoria Press came up I was thrilled to be blessed with the opportunity. I was so thankful we received everything we needed to make this study happen. In our box we found the Greek Myths Book, a teacher’s guide, a student study guide, and flashcards too! The D’Aulaires’ Greek Myths books is just beautiful. It is a sturdy softcover book with thick pages and gorgeous illustrations. They are so well written and designed perfectly for children. Each story is short and sweet and yet to the point. Some of the more touchy subjects that you will often encounter in Greek Myths (like affairs between Gods) is a bit glossed over. As a homeschooling mom you can choose to pause and dive into that topic or just keep chugging on, saving it for day when you believe your children are ready to face these adult issues. Either way, it is a pretty safe read even for younger children. Inside the student guide you will find lots of questions, vocabulary words to study, and lots of activities to bring meaning to this topic for your children. The teacher’s guide provides you with the answers for all of these questions (thank goodness right?). There are also tips and hints for teaching the Greek Myths and progressing through the study. The flashcards are handy for review. There is a lot of information here and they sort of solidify it all in your children’s brains. This study is a part of the 3rd grade set that Memoria Press offers for sale on their website. I wouldn’t confine it just to your third grader though. All 3 of my school aged children ages 5-10 totally enjoyed the book and it was my older son who was able to complete the Student Guide as it is designed for children in 3rd to 6th grade. This program is divided up into twenty-five separate lessons. There are also pages for drawing, review lessons, and a final exam. Every lesson begins with information about what your will read from the text along with facts and vocabulary questions. These are followed up by the comprehensions questions. Finally you will end things with the activities. The activities are simple and straight forward. You will look back through the text for review as you fill in information or compare and contrast the Myths to Biblical stories. There are drawing activities which my son loved! You’ll find deeper discussion questions and even memorization practice. There is also a pronunciation guide (thankfully), maps, and more. The teacher’s guide follows along very similarly to the student workbook. Of course the answers are avaible there for you the teacher. You’ll find tests to photocopy and more answer keys. There is a lot of information in here about how to use the program, how to incorporate the memory work and so much more. The flashcards are numbered according to the lessons. We typically used these as review just before we began a new lesson. They are not only great for memorizing but they are also a handy reference tool. This is one of those studies that mommy liked the idea of but my son was skeptical. It sounded boring to him. However once I showed him the D’Aulaires book he interest was spiked and we totally enjoyed all of the discussion and activities after that. If Greek Myths are on your agenda you will certainly enjoy D’Aulaires’ Greek Myths from Memoria Press. Do you have a child that melts down over your slightest correction in their schoolwork? One of my son’s tends to be this way. Learning comes very easily to him. He learned to read simply by watching his older brother’s lessons and now he can rocket through books far above the level typical for his age. He picks up math concepts in a flash. He has an eye for detail and the memory of an elephant. Even physical skills like riding a bike or sports come easily. While this probably all sounds fantastic (and it is in many ways) the downside is it is tremendously difficult to challenge him. As a result he doesn’t have much practice dealing with his emotions or working through mistakes. When a mistake does present itself he tends to overreact and meltdown. Pridefulness can set in and he can insist he is correct when in truth he is not. Helping our children have the right perspective with mistakes they make in their schoolwork or in life, helping them analyze their own weaknesses, can be tremendously challenging for any parent. These character flaws in our children can even seem magnified when we, as homeschooling parents, work alongside our children day after day. 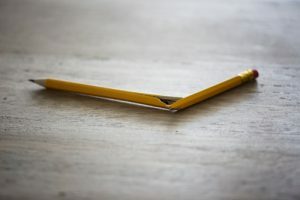 To read the rest of my article about how to handle the perfectionist child please hop on over to the Homeschooling with Heart Blog.